I couldn't resist a while back and made my own version of the cliche, but in a smaller (palm sized) version meant to be hung on a person rather than a wall. I made the original version using .5mm cord. The other day I got some coin beads I'd ordered for eyes and discovered they were smaller than what I'd been using (I think these are 8mm), which made me wonder what would happen if I tried making the owl with smaller cord. The tiny misshapen khaki owl is done with C-lon micro. I have trouble knotting with cord that small. Theoretically it should work, with adjustments to the size of the beads and something smaller than the split rings at the top. But, it took me nearly three times as long to make the small one as it did to make the large one! Lots more fiddling - and that's from a professional fiddler! Maybe I'll just wait for one of you to try it and let me know how it turns out. 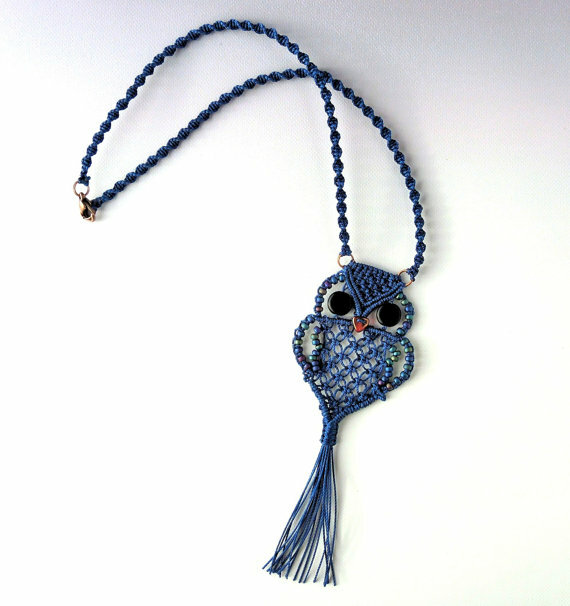 If you'd like to try making your own owl, you'll find the tutorial here in my Etsy shop. And don't forget, I have a whole page of videos knot tutorials here. 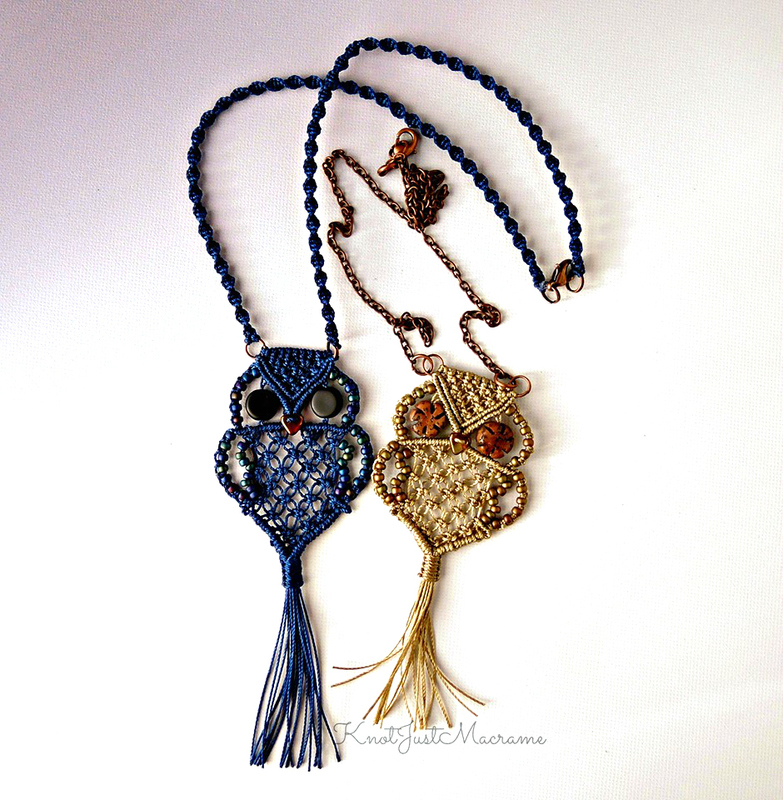 If you're looking for ideas on how to make your owl pendant into a necklace, there's an easy idea in this post, or you can add a simple macrame spiral or a little chain. They're all cute! 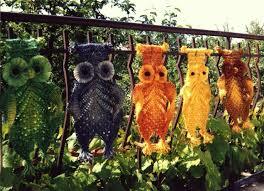 These owls are so adorable. Takes me back to the early 80's and before.